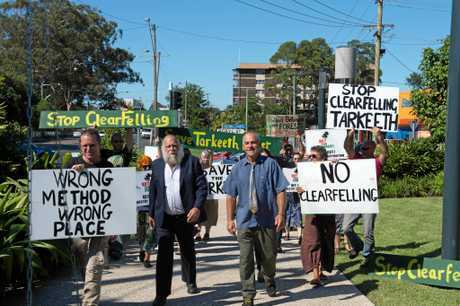 TWO men and a woman known as the 'Tarkeeth Three' have been found guilty of protest action after they attempted to block Forestry Corporation NSW's logging operation at Tarkeeth State Forest. 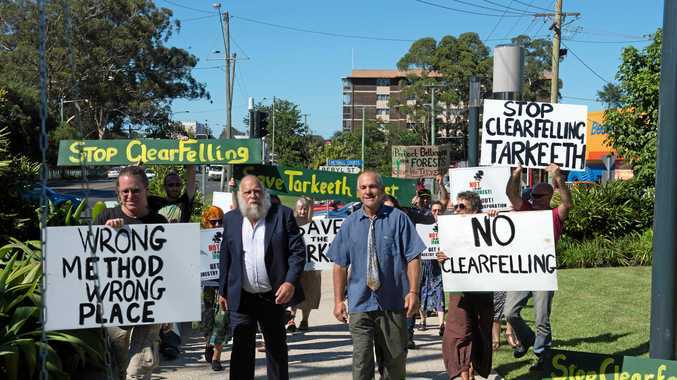 Protesters rallied outside the Coffs Harbour Courthouse in support of the convicted three who chained themselves to the roadway to stop the Forestry Corporation from felling and carting timber from the forest near Bellingen last June. Amber Daley, Anthony May and Peter Simmonds were apparently given some leniency because of their clean record, and received a $750 fine. Susan Weil, organiser of the Not In My Forest Action group, says despite the convictions Forestry Corporation "have not won”. 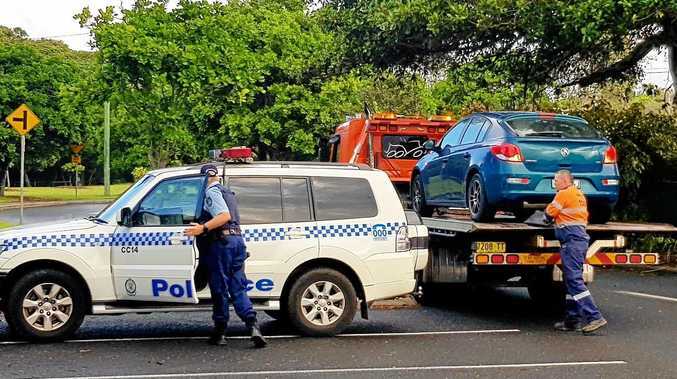 "We did get three convictions which will be appealed, and I'm glad they got the smaller end of the fine which could have been much steeper,” she said. Local Campaigner Paul Hemphill also attended the hearing, saying Forestry Corporation were "victimising people with limited means". "We're not against harvesting, but we're protesting against the extreme and aggressive nature of the methods being used by Forestry Corporation," he said. The State Government department says the Tarkeeth State Forest is former farmland that was historically cleared and used for agriculture before 850 hectares were planted with a timber crop during the 1960s and 1970s. Forestry has always maintained that only plantation timber has been logged in the forest, whereas the Greens and passionate local campaigners argue the plantation has since reverted back to its natural ecosystem. Ms Weil says the "outdated” methods being used by Forestry Corporation, which apparently includes clear-felling, burning and the use of herbicides, poses a threat to the community with the timber plantation located in close proximity. "We understand the need for plantations, but we have an issue with the outdated methodologies being used by Forestry and unfortunately Government has guaranteed a plan that puts them above the law. "We want to work alongside them and come up with more responsible methods but put simply, they're not being good neighbours. Mr Hemphill lives on a road at the boundary of the timber plantation and he and his wife Adele have apparently been meeting with Forestry Corporation over the past few months. The couple say they asked for a wildlife corridor and visual buffer to be left along Fells Rd, which residents use. "We tried to negotiate with them to obtain a buffer between residents and the industrial zone which residents have to drive by which was refused, we basically have to drive through wasteland. The Not in My Forest campaign group has also staged rallies outside Sydney's Parliament House in a bid to have the State Government reassess the importance of the forest. Forestry Corporation say they will be harvesting over several years and replanting trees as they go, after having completed "a range of environmental and logistical assessments”, surveys, and consultation with local neighbours to develop their plan.